I thought I would start a thread that informs about upcoming opportunities to acquire Imperial Russian artifacts. these might be from the Imperial household or from Russia in general prior to 1917. I will start with what I found on the Chrisies website for April 23 2010. 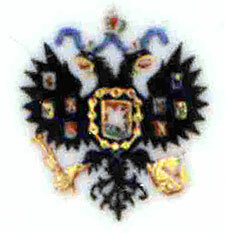 Re: upcoming auctions and sales of Imperial Russian items. if you have a few extra thousand pounds to buy a choice piece of Imperial Russian history, then you might want to trot down to Sotheby's London showrooms on June 9th 2010 to purchace a work of art. There will be over 300 pieces in this auction including many pieces of Faberge. The estimates are lower, probably reflecting the financial downturn. There is a nice sale of Russian items including a coronation cup from Nicholas ll's coronation. There are some very nice imperial Russian antiques coming up for sale at Christies in London on July 20, 2010. Here is a nice video from Sotheby's on Russian art. There will be an auction of Faberge on December 1. Sothebys has two auctions coming up which will include Faberge items. The first is in New York on Nov 4 and the second in London on Dec 10. An auction at Olivier Coutau-Bégarie in Paris, will offer more than 400 lots on June 18th, 2012. A rare set of 48 colour polychrome plates of the Alexander Palace interiors (circa 1914) and 25 photographs of Emperor Alexander III and Empress Maria Feodorovna visiting Denmark are among the Romanov treasures offered in this wonderful collection. I have to add here, this link. The rare set of 48 Autochrome plates of the Alexander Palace have been returned to the Alexander Palace Museum! One of our regular users and friends of the APTM, Mike Pyles, contacted our Bob Atchison about acquiring them for our websites. He most graciously and generously offered $25,000 to purchase them at auction. Bob, of course, declined for himself and insisted they go to the Alexander Palace. Mike readily agreed. Bob and Christine Martin contacted the Palace staff, who already knew about them and wanted them. Because of Mike's most generous gift, the Palace staff were able to buy them! The Palace Directors are of course most pleased and grateful to Mike and Bob. We hope that more of our users will step up in the months and years to come, and help bring back the thousands of objects sold and stolen from the Alexander Palace over the years, so that they can be returned on display in their original setting. Way to go, Mike Pyles and Bob Atchison! Those color plates of the AP interiors belong in the AP interior. .... Bob, of course, declined for himself and insisted they go to the Alexander Palace. Mike readily agreed. Bob and Christine Martin contacted the Palace staff, who already knew about them and wanted them. Because of Mike's most generous gift, the Palace staff were able to buy them! The Palace Directors are of course most pleased and grateful to Mike and Bob. I didn't know this part of the story , about how the photos retuned to AP ! Wonderful and thanks all around!